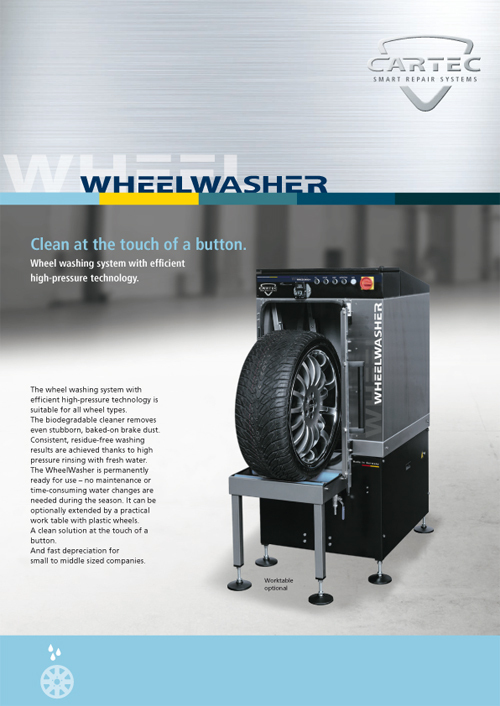 The WheelWasher wheel washing system with efficient high-pressure technology is suitable for all wheel types. The biodegradable cleaner removes even stubborn, baked-on brake dust. Consistent, residue-free washing results are achieved thanks to high pressure rinsing with fresh water. The WheelWasher is permanently ready for use – no maintenance or time-consuming water changes are needed during the season. It can be optionally extended by a practical work table with plastic wheels.